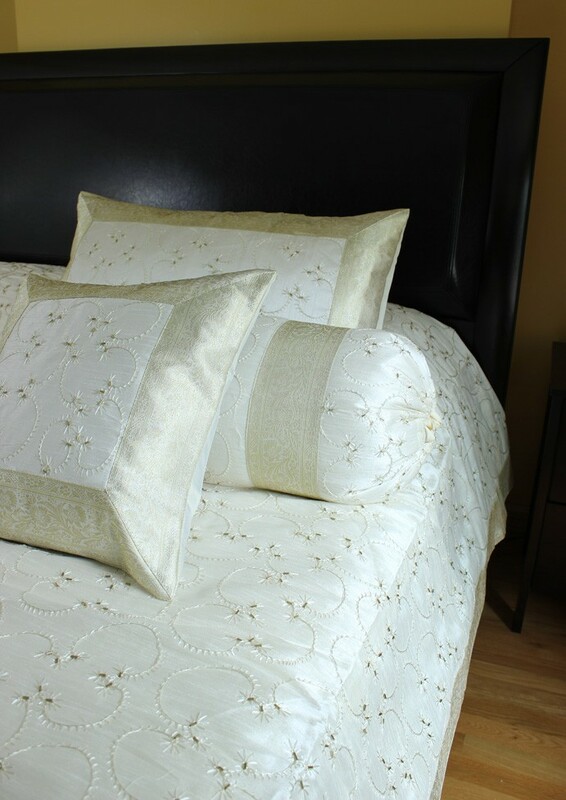 Give any bedroom or guest room a look of class and sophistication with the Hand Embroidered 7-Piece Duvet Cover Set from Banarsi Designs. 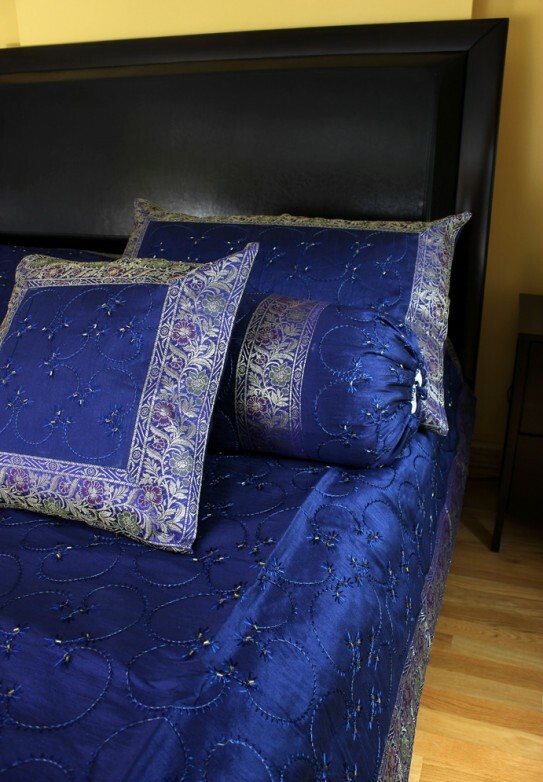 Crafted in India, this unique and decorative duvet cover set will transform a bed into the most stunning focal point. It features beautiful hand embroidery with beads incorporated throughout the entire design. 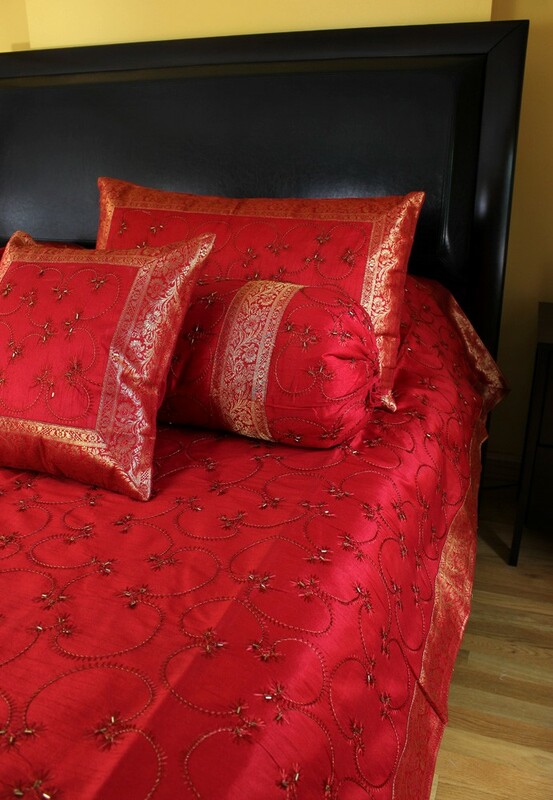 This bedding set is available in Queen and King sizes as well as in numerous vibrant color options.